Another month goes by and 24082 is once again working the extra passenger diagram along the North Wales Coast. 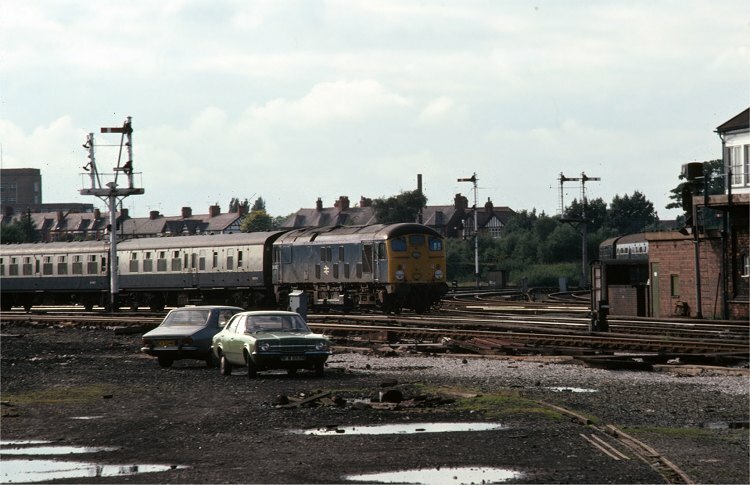 This is the 16:42 from Llandudno to Crewe arriving at Chester on Friday 30th June 1978. See last month's picture for more information on this working. Just visible to the right is Chester No 4 signal box. This controlled the junction between the Holyhead and Birkenhead lines, and most of the signals in the picture. Chester had 6 signal boxes at this time working a mixture of semaphore and colour light signals - more details on the Chester page.